There is a big difference in interior and exterior decorative elements. In my opinion, its easier to design the outdoor space instead of decorating the interiors. For example, in the interior part, you need to choose modern furniture pieces and to pay attention to every detail. 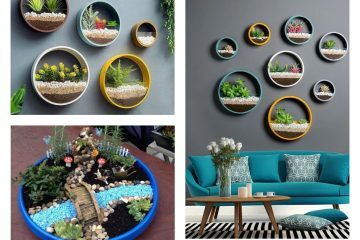 On the other side, about the outdoor, you can choose something simple but also good looking. A simple design we can find in exactly these rustic wooden benches that will beautify your backyard, garden or front yard. 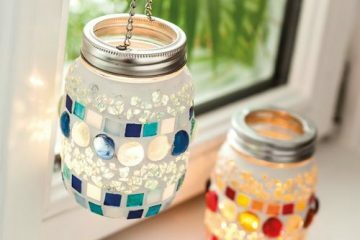 Don’t be afraid to add it in the outdoors because they look modern! But if you don’t beleive me, take a shot in the following photos and see the beauty of wood! 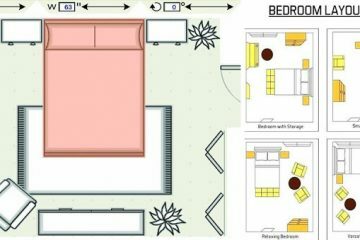 Also, check about how to use wooden screens as a room dividers and find out how to make two rooms of one. 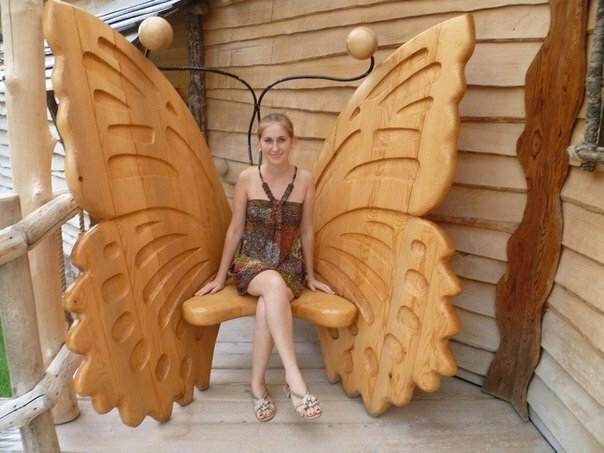 A rustic bench can have modern shape and design, like this butterfly-shaped wooden bench. If you want to have this design at an outdoor place, you can simply choose it and admire it. Take a look in this photo and find inspiration for your own yard place. 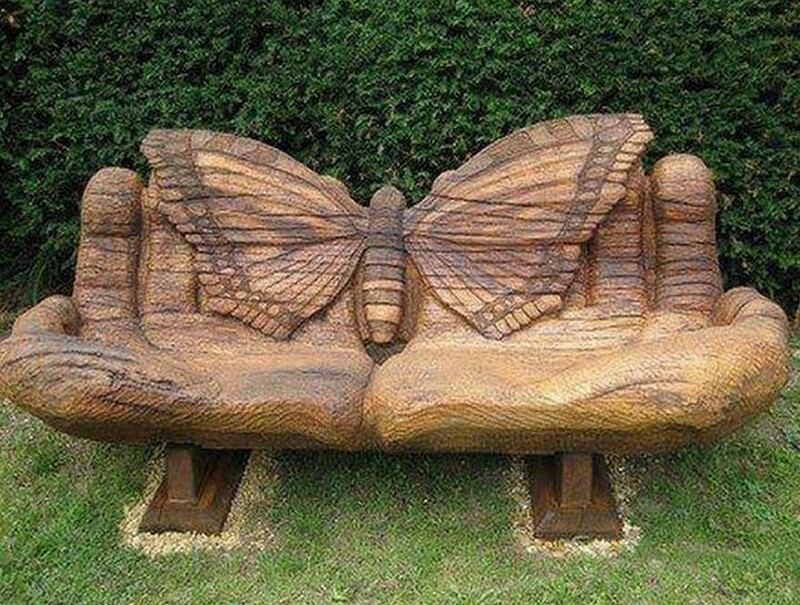 Carved wooden bench that will beautify the front yard, backyard and garden place. Admirable ideas for the outdoor part of the house! Swing + bench sounds great combination for outdoor space. Especially, if the material of the bench is wood. 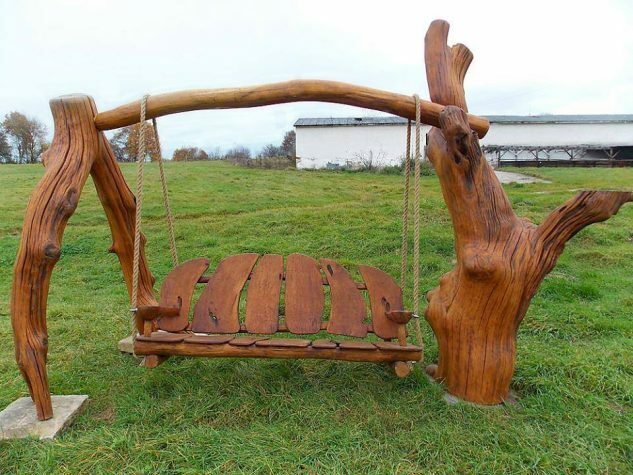 In this photo, you can see good looking swing bench made of old rustic wood. I’m sure that you will love to have this at your own home, don’t you? We need a lot of chairs in our yard and these two chairs made of rustic wood looks modern and lovely. An excellent idea to beautify every yard place! Do you share the same opinion as me? Tell me in leaving a comment below this post! If you think that rustic furniture is old-fashioned you are totally wrong. Don’t be afraid to add it in outdoor spaces and you will have an outdoor place for eating and relaxing. 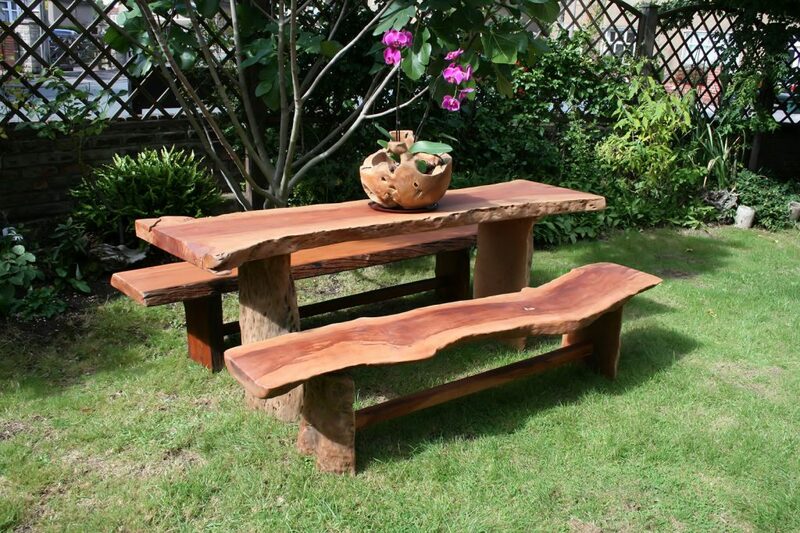 Two wooden rustic benches for seating and ow rustic table for eating is all you need to spend a great time there. The dining room can keep the rustic style and you can have an amazing indoor dining room. 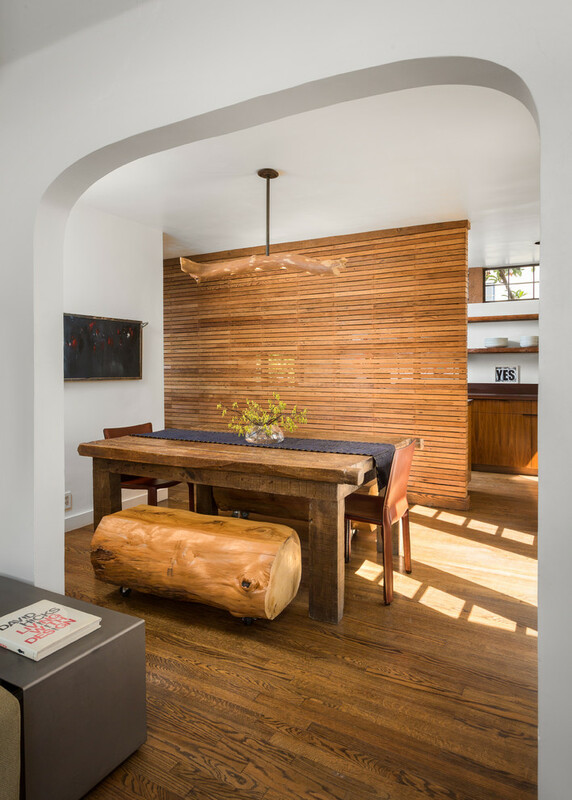 In the dining room, you can have a rustic table and bench. I hope you liked these ideas if YES please share it with friends! Idea by idea we are to the end of this article and here for the end, we have an amazing rustic bench for you. 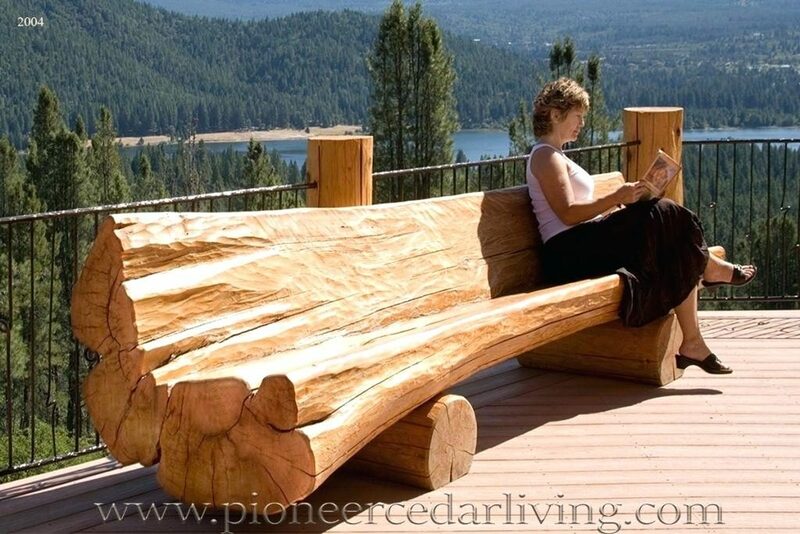 Interesting shape of the wooden bench will make your outdoor place the place to be. 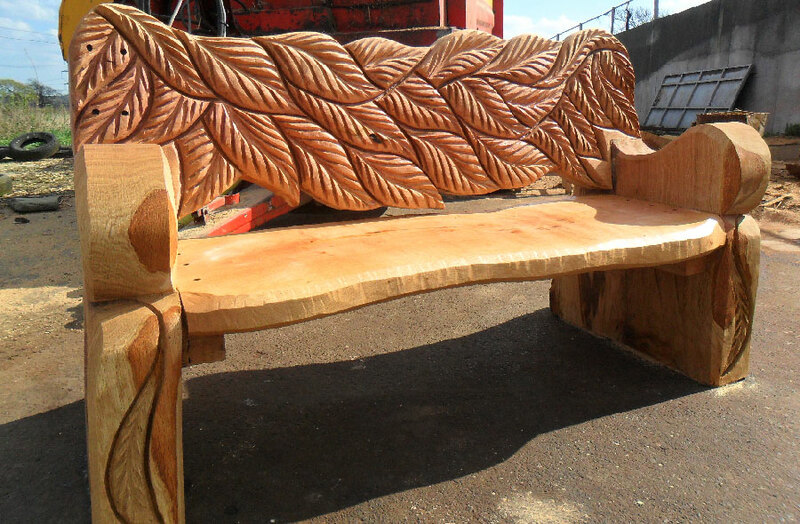 I hope that you liked these wooden rustic benches in the previous photos!